I saw this set of stamps some time ago and really loved this flamingo. I finally managed to source a set and I really don't think it needs a lot more to make a pretty CAS card. It's from Reverse Confetti and has matching dies. I used Ranger dye ink to stamp and it was a great combination of stamp and ink! AAA Cards has the challenge Bare Naked, so I think this fits quite well! What a beautiful card - love this stamp/die set. is beautiful, delicate and elegant! Love that flamingo too. Such a perfectly CAS card, thanks for sharing at AAA Cards. Hi Chrissie. This is a perfectly bare naked and wonderful CAS card! The pink and black really pop. Thanks so much for playing with us at AAA Cards! 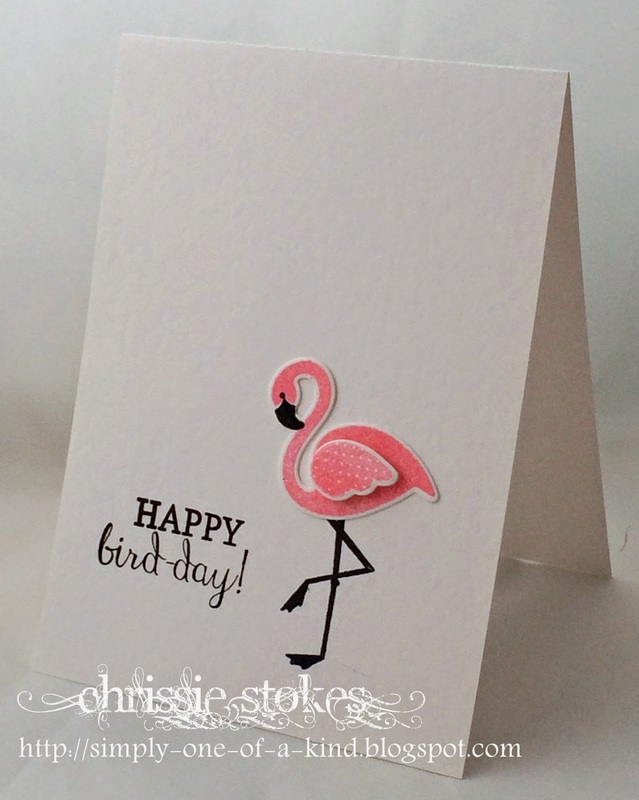 Fantastic flamingo Chrissie, love the image and crisp clean layout. Great take on the photo image and thanks for playing along at AAA cards. Fabulous card design Chrissie ! LOVE this! my mom would love this card too, she loves flamingoes!!!!! Too cute, I love flamingos I find them cute and weird at the same time. Perfect CAS card!